Disclaimer: My family was given complimentary admission to the museum in exchange for an honest review. All thoughts and opinions are my own. 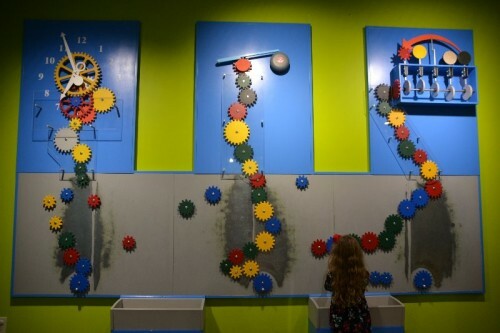 Did you know there is an awesome science museum in Bridgeport, CT? 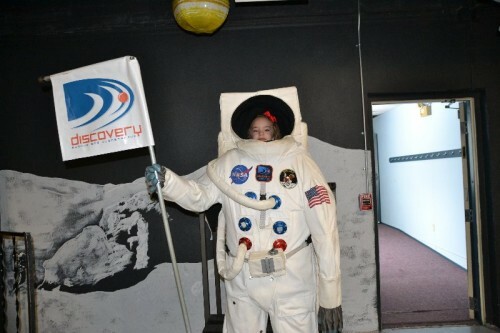 The Discovery Museum in Bridgeport is a hands-on museum with a strong emphasis on space and STEM based learning. 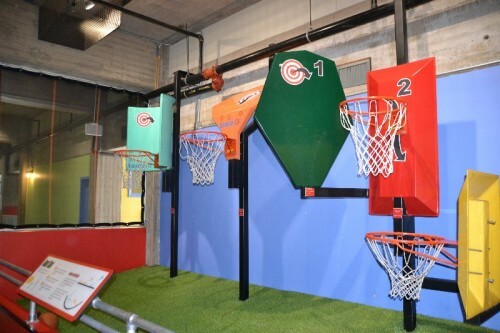 The museum is a popular destination for school field trips, homeschoolers, and day trips. Read on to find out how you can win free tickets to the museum. I have memories of visiting the museum in elementary school. 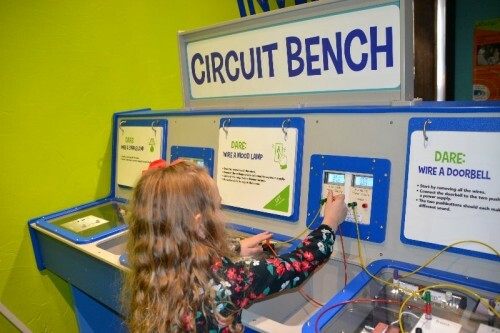 Today the museum is still popular for school field trips, but in recent years the museum has transformed into a great space for hands-on learning with unique and exciting exhibits. 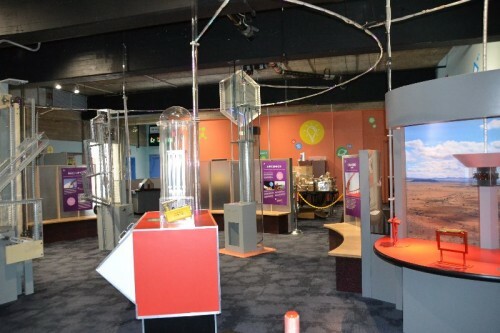 The museum is divided into three floors of hands-on exhibits. 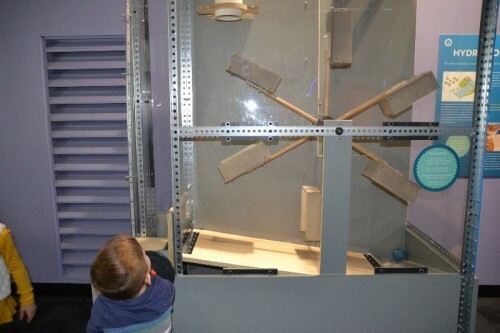 The exhibits are tailored to promote STEM-based thinking through interactive and fun activities. Children get the chance to “play” while practicing important reasoning and discovery skills. 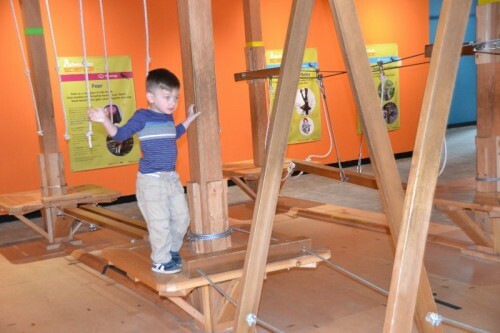 My little ones are still on the younger side for the museum (ages 3 & 6) but they were still able to explore the different science concepts while having fun. Visiting learning attractions like the Discovery Museum helps to plant little seeds of learning that they’ll be able to recall later on. The first floor houses the admission desk, coat closets, an art gallery, and food court with vending machines. 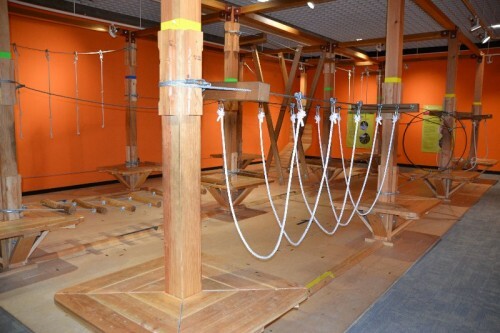 The first exhibit to grab the attention of my kids was the Adventure Science indoor ropes course. My kids (and most other kids I saw) had a blast following the different paths while working on their gross motor and confidence skills. 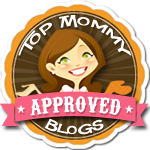 Love the idea of the ropes course and want to step it up a notch? 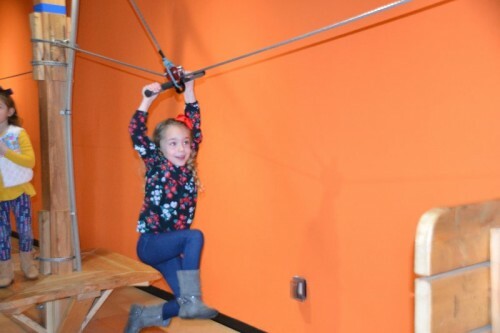 Visit Adventure Park at the Discovery Museum for ropes courses and zip lines high in the trees. 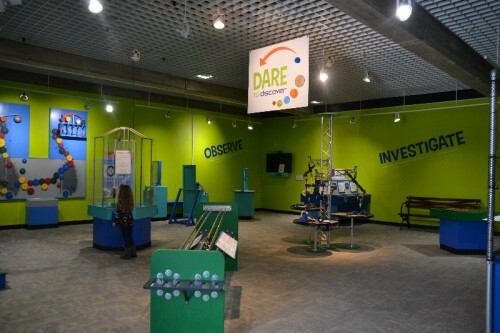 The Dare to Discover room is full of opportunities for children to explore, observe, and investigate science through hands-on learning. We loved playing with gears and building circuits. 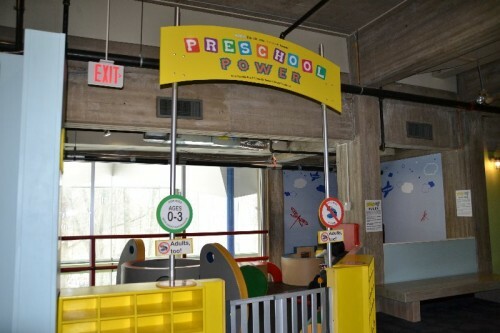 Take the stairs or elevator up to the second floor and visit 2 more exhibits and the toddler area. 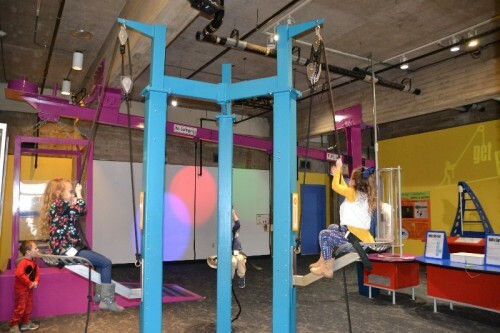 Get Physical exhibits allows children the opportunity to learn about physics through a series of different fun activities. We got the chance to use pulleys to lift our bodies, tried different levers and even shot baskets while gaining a better understanding of how things work. 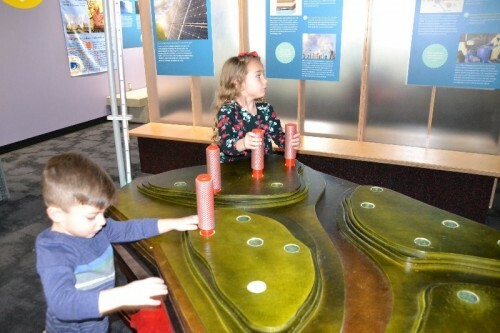 Explore different forms of energy in the Energy Network. Learn how energy is made, used, and transported. 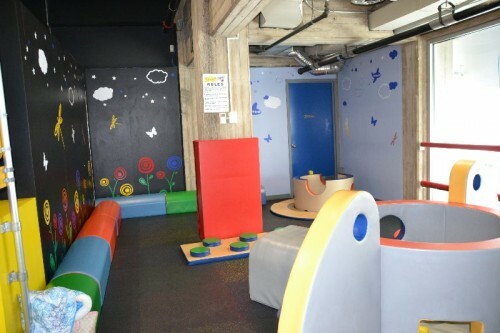 There is a special Toddler Area for ages 3 and younger. It’s a gated area with soft mats for little ones to play. It’s a shoe-free area with cubbies to hold personal items. 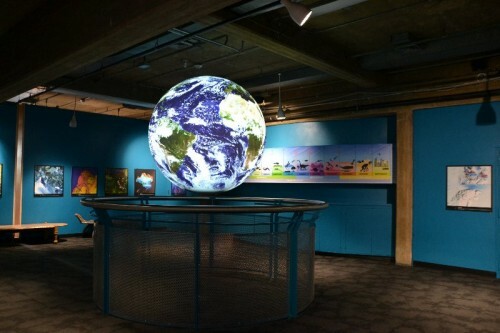 When walking down into the basement you’re immediately greeted with the huge animated globe called Science on a Sphere. This sphere can be changed to display different types of global change. 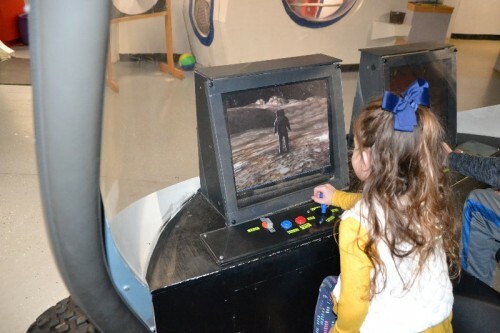 MoonBase Discovery was a huge hit with the kids. 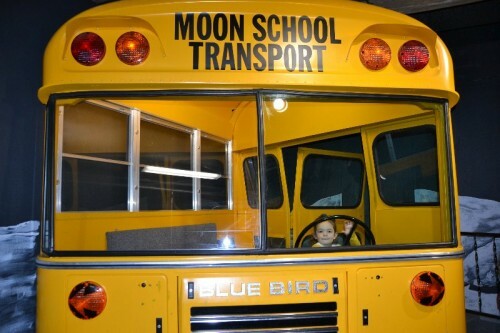 Pretend to drive the Moon School Transport bus, navigate an astronaut on the lunar rover, or take your picture in a replica astronaut spacesuit. 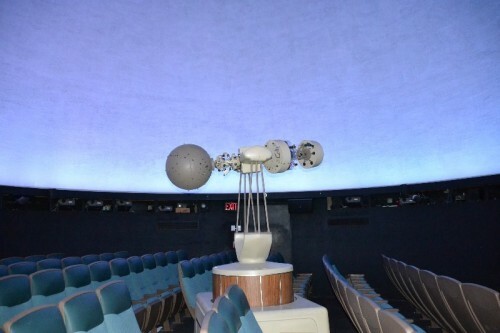 The Discovery Museum is home to a planetarium. There are daily shows for all ages. Check schedule for exact show times. We watched One World, One Sky: Big Bird’s Adventure. It was a great introduction to space for very young children. Each show runs between 20-30 minutes. The shows are included with the price of admission. We had so much fun exploring all that the Discovery Museum has to offer the community. 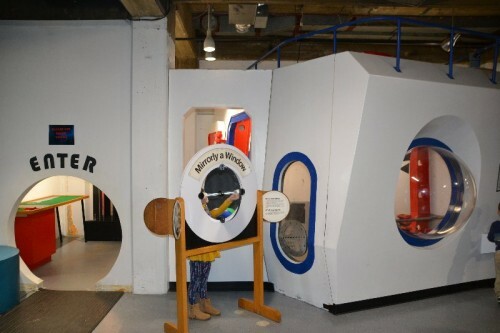 As a life-long Connecticut resident, I had no idea what a fun and educational museum we had in Bridgeport, CT. My kids loved the opportunity to play with the hands-on exhibits. I loved that they’re being exposed to valuable STEM-based concepts in a fun and inviting way. 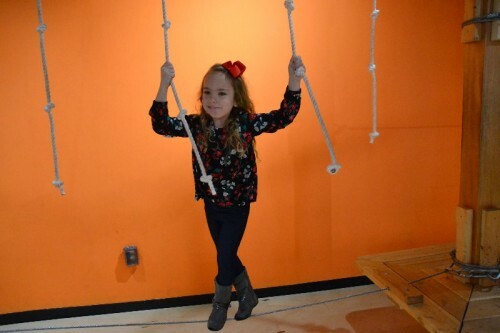 I am so excited to be able to partner with the Discovery Museum on a ticket giveaway. 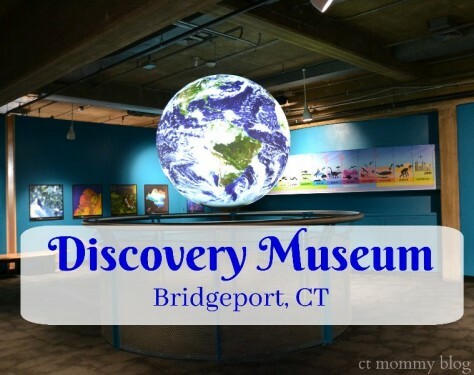 One lucky CT Mommy Blog will win 1 adult & 2 children tickets to the Discovery Museum in Bridgeport, CT. Read the contest rules below for your chance to win. Good luck! The winner will have 48 hours to respond by email with his/her name and mailing address to claim prize. If the winner does not respond in the designated time they forfeit their chance at the prize. A new winner will be chosen.